The Calgary business community has committed to curing homelessness in 10 years. We believe that we can and should do the same in Toronto (and other Canadian cities too). Do you know anyone who could catalyze this or help us launch this initiative? Tony’s face, his wry bearing and amazing loquacity — they all remind me [Philip] of Mark Twain. 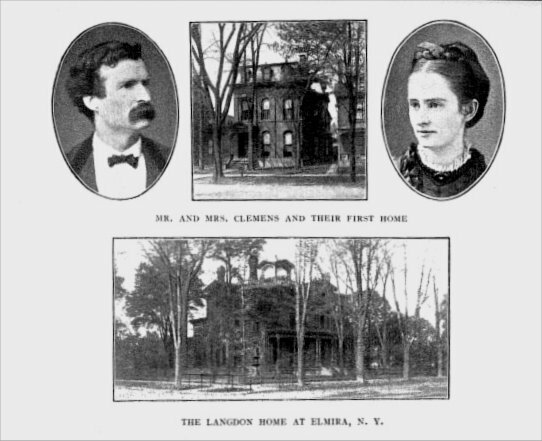 Twain’s real name was Samuel Clemens. How could Tony find out if Samuel is his great-great grand cousin, twice-removed, etc.? Our blog, HomelessManSpeaks.com, has a large and enthusiastic readership, for which we’re grateful. Thank-you. Nonetheless, Tony and I are seeking ways of dramatically increasing the readership and visibility of the blog. We think the blog’s key messages will resonate with lots of folks who’ve never heard of the blog. Any ideas? If you might be able to help us, please leave a comment below, or if you prefer, click me at philip [at] sternthinking.com. This entry was posted on	May 23, 2007 at 3:07 pm	and is filed under Anthony Clemens, Calgary, Calgary Homeless Foundation, family roots, Mark Twain, need help from you, publicity strategies, Samuel Clemens, The Ismaili community and homelessness. Please don’t be shy with your ideas. We need your help! This PDF shows a small portion of Mark Twain’s family tree from his siblings down… it might help. have you thought about approaching the Toronto Star to suggest a guest column or a column that could link various blog stories on homelessness and issues pertaining? There are several other bloggers who are also writing good stuff online……..it needs a wider audience in order for others to learn the issues etc……in order for changes to happen. Or, what about a “thought for the week” or an “observation of the week” which can be printed in the Star and a link to your blog. Often Tony’s wry and honest insights or observations stay with me after I’ve read them. two ideas off the top of my head. i don’t know, just some ideas. hope everything is well with tony and yourself. well, guys, i’ve been offering to interview you for, oh, i don’t know…MONTHS…. Thanks everyone. Some of your suggestions are “in process”. Also thanks to Nickelking for the Clemens’s family tree; we’ll keep you up-to-date on matters genealogical. Jen, pls email me so that we can arrange our long-delayed interview. For the geneology work have Tony go to an LDS Family History Center. They can help him research his family line. I only started reading this so, I don’t know all the logistics. a master plan, how about trying to assist Tony to have a home? Kind of – one person at a time – ? Or are you doing something about this already? You know – act locally while you think globally.